Simple and I: You might remember, back in September 2010, I reviewed Simple's Oil Balancing Moisturiser, as part of my campaign to find products for my oily skin, but I hadn't been too impressed by it, for a variety of reasons, including the smell, and since writing that review, I also realised that one of my issues with that particular moisturiser was that whilst no, it didn't have excessive amounts of oil in it, I did feel that it was too watery which I wasn't too keen on. Initial Thoughts: Before I even gave this product a chance, I'd written it off in my head, purely because of my experiences with the Oil Balancing product, and because it wasn't designed for oily skin. For those reasons, it took me a long time to even try it out. Looking back this seems ridiculous, perhaps because I'ma little more "clued-up" about oily skin, but considering the strong connection between oily skin and having spots and blemishes, it actually makes perfect sense to try a moisturiser like this! Ingredient Breakdown: For quite some time, I've grown quite sceptical of brands who claim to only use ingredients that your skin "actually needs", because it's one thing to tell us that our skin needs something, but those of us who aren't in the business, well, how on Earth do we actually know that we need them? We live in a world where researchers are telling us what we should and shouldn't eat, on an ever-changing daily basis, so I'm afraid that I've grown a little distrusting. In some cases, this is probably justified, whilst in many it really isn't. But, to avoid prejudice, I wanted to breakdown a few of the "key" ingredients! Research says: Apparently Zinc is a great ingredient for two main reasons: 1. 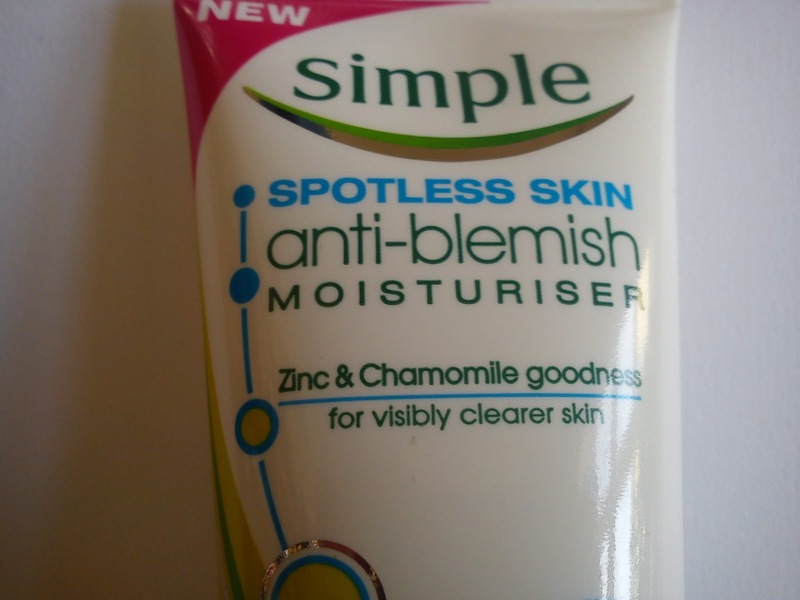 It is an anti-irritant, meaning that it won't irritate your skin (obvious really), and 2. It's an anti-oxidant which is perfect for spot-prone skin. Research Says: Similar to Zinc, Chamomile has wonderful anti-oxidant, anti-irritant and anti-spot properties. Research says: Corn Starch isn't as perfect an ingredient, as both Zinc and Chamomile, however, it's still pretty darn good. It's most often used for it's absorbing qualities which leave a mattified look to the skin, which is definitely something that anyone who suffers from oily skin is going to be looking for. Research says: All I could find about Aloe Vera was that there is no real proof that clarifies how Aloe Vera might benefit the skin, however, it is a product that so many people swear by to apply to skin that is sun-burnt for example, due to its cooling properties (even my Nana swears by using the liquid straight from her Aloe Vera plant, as only a Nana would ;P), so despite the lack of evidence, I feel strongly that Aloe Vera has it's uses. Looking at the Ingredients: I feel more confident that Simple do know what our skin needs, and I'm happier to use this product. So, what did I think of the Product? I've been using this moisturiser on-and-off for about three months now, and I have to say that I am far more impressed by it than the Oil-Balancing one. It doesn't have any weird scents underneath, and it isn't watery at all, which I was happy about. 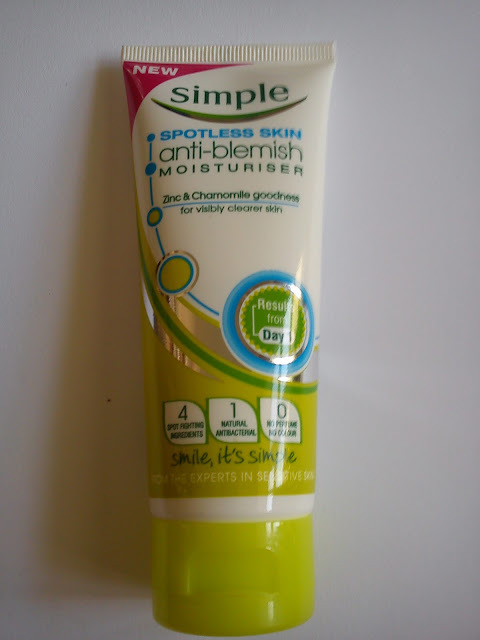 As to the overall result, I felt happier after using this product, because as the ingredients implied, it did leave my skin mattified and not at all shiny, which is what I would have expected from the Oil-Balancing moisturiser. Would I buy this again? Definitely. And, I think that comparing these two products just goes to show that you do not necessarily have to go for the moisturiser that is "aimed" at your direct skin type. It also amplifies that what might work for one person, might not be so great for you, so next time you're looking for a product for your "skin-type" try and be open-minded to trying products that might not (on the surface) be for you.